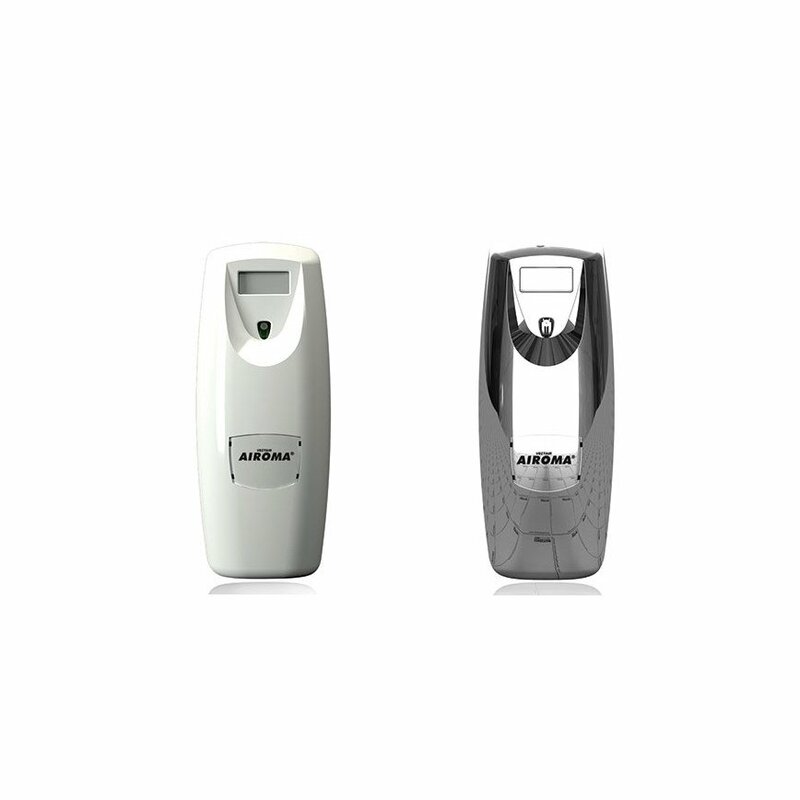 A range of Airoma fragrances for the Airoma Dispenser. 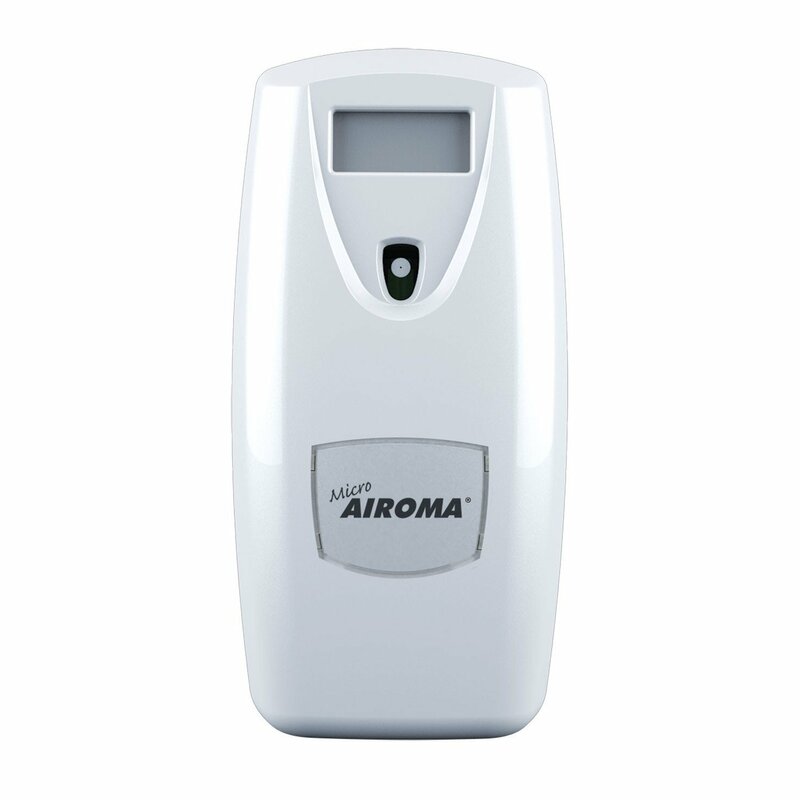 Ensure your premises smell fresh and clean with the Vectair Airoma. Automatic aerosol air-freshener. Vectair Airoma™ automatically delivers small bursts of fragrance at specific intervals in order to keep malodours at bay. 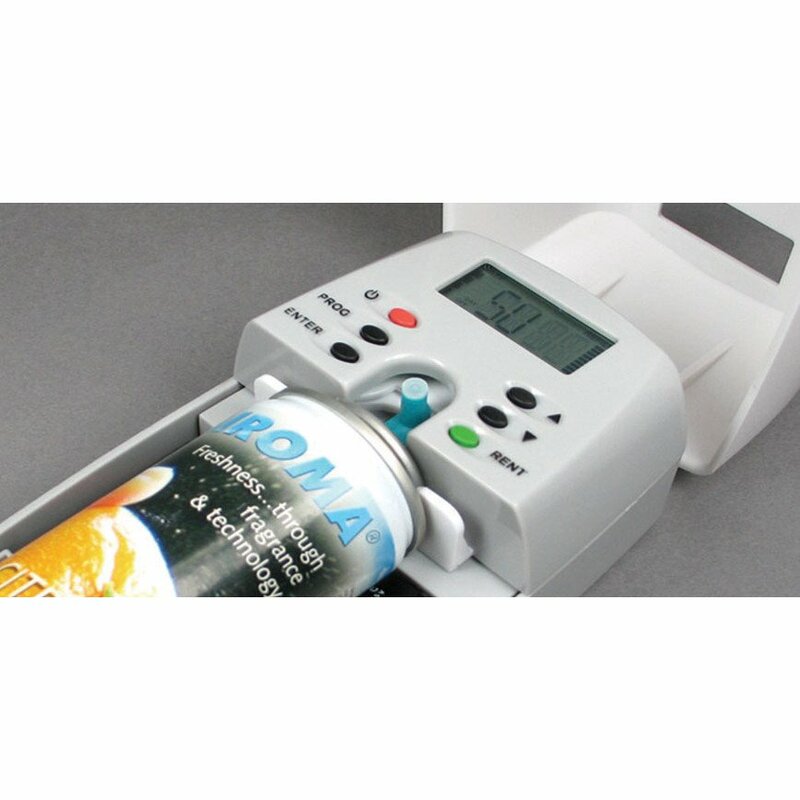 The dispenser provides flexible and easy to use programming options, and can be set to match your exact location conditions. Available in white or bright chrome finishes. Fully programmable dispenser – Choice of refill size, start and end time, choice of spray frequency. Visible Countdown clock showing time until next spray - confirms operation of unit and provide health and safety warning. Patented 'I.P.E.' facility enabling users to program up to 3 periods per day of enhanced fragrance delivery (eg. At busy times of the day). Patented automatic reset button when a fragrance refill is replaced. Part of co-ordinated range of dispensers. Unique branding facility which allows us to label the dispenser with your logo at no extra cost. Rental button for 30-120 days (if applicable). Lockable battery compartment to prevent theft of batteries. Lockable dispenser for added security. Top hinged dispenser for ease of servicing and refill replacement. 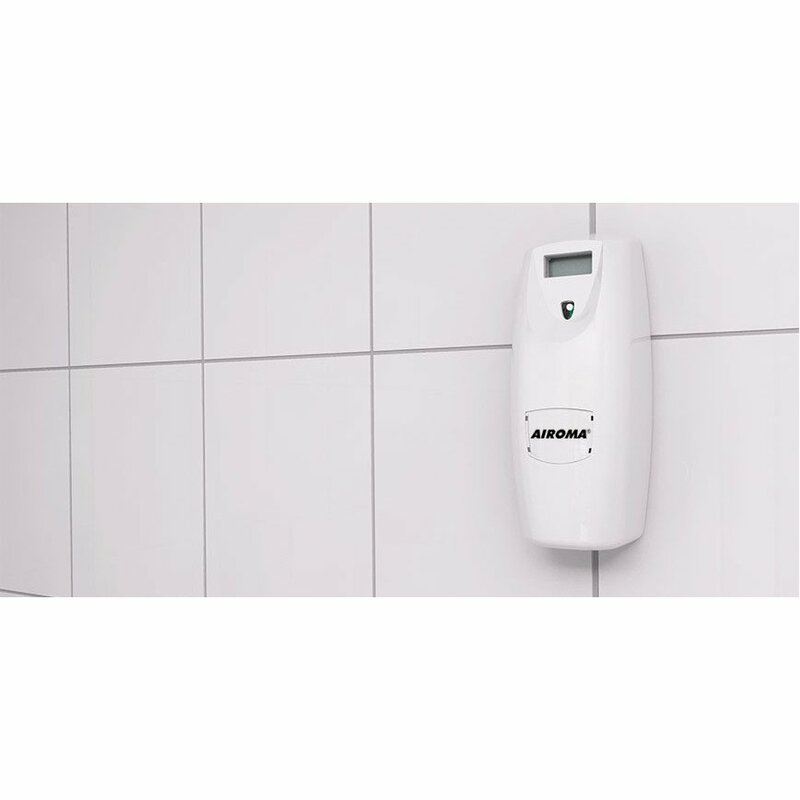 Ideal for areas such as restrooms, offices, toilet areas, care homes, hotels, reception areas, school classrooms and anywhere where fragrance is required. Dimensions: 240mm (H) x 92mm W) x 79mm (D). Operation: Operates on two low cost ‘C’ cell batteries, with up to 3 year battery life. Coverage: Effective on room sizes up to 200m3 / 6000ft3 . Choice of 3000 or 9000 metered sprays per refill.